To some, it’s a hard and fast rule that Saturday nights are all about going out on the town and consuming as much alcohol-infused liquid as possible. In few places is that more true than Leeds, now fairly notorious as a stag and hen party location (among other things); tonight, though, a few hundred of us have got better plans. 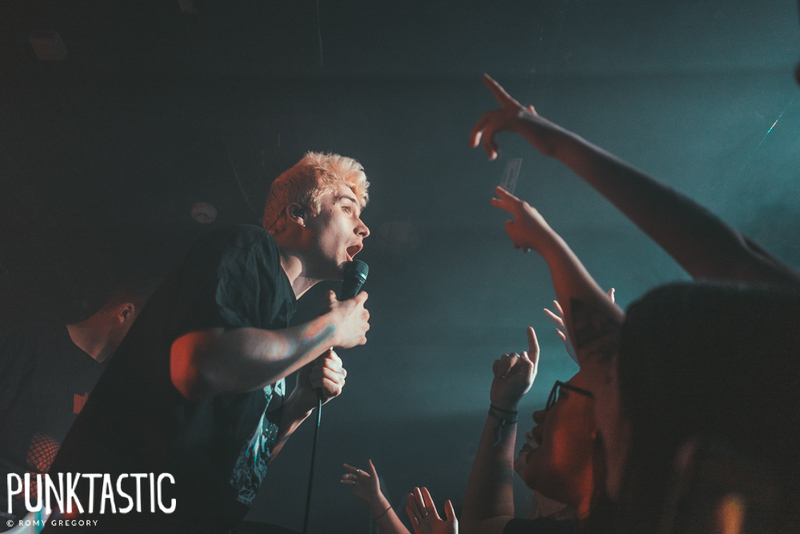 We’re heading underground to sing our hearts out in the safe, unassuming confines of the city’s Key Club, with one of the UK’s most exciting young bands – this is Holding Absence, and this is one hell of a way to spend a weekend. Starting out in a still-quiet room, Newport indie rock group The Nightmares don’t exactly live up to their name – though there is a real risk of them sending the gathered crowd to sleep. 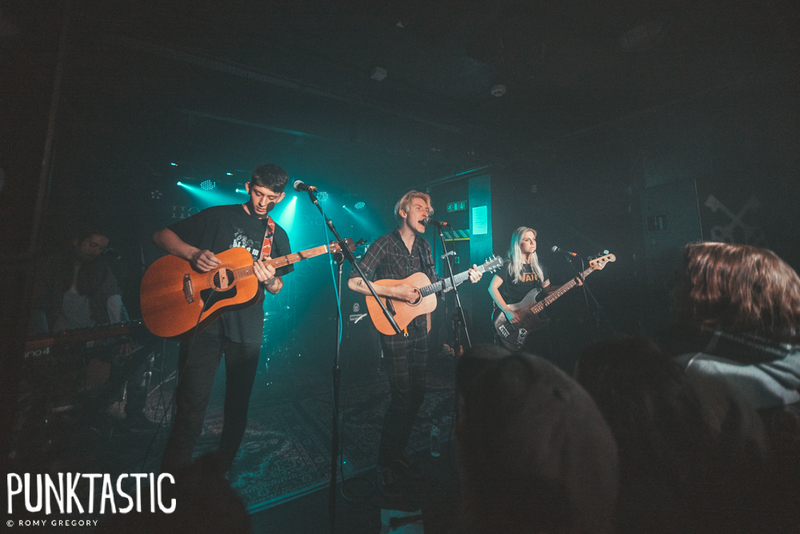 The four-piece look equally bored on stage as they play through a selection of bland, synthy indie tracks, with passable-at-best vocals almost drowned out by an excessive helping of bass. In this case, it’s probably not a bad thing that the band is instantly forgettable, and it doesn’t look like any of the early audience are going to be rushing to listen again. In stark contrast comes Luke Rainsford, whose name will be familiar to many festival goers after cropping up just about everywhere in 2018. His acoustic emo-pop tunes have a broad appeal, bringing a bright and spirited atmosphere into the darkness of Key Club as he swiftly swipes away any lingering melancholy. The honest, storytelling lyrics are soothingly relatable, and though Rainsford has a couple of vocal issues – “my voice has fucked it,” he explains – they don’t detract from an enjoyable set by a talented young musician. For a minute early on in the evening, it looked like the venue might not be too full for tonight’s show, but that’s definitely not the case by the time headliners Holding Absence make their appearance. It’s pretty packed on stage, too, as the five only just fit in the tight space – but with performances like these, they’re unlikely to be confined to venues of this size for long. As they open with ‘Perish’, the first track from their debut self-titled album, there is a passion in the room that can be rivalled by few others and it’s hard to believe this is a band who’ve only been around for a handful of years. It’s immediately easy to understand why they generate such a reaction from their fans, though; each song is drenched in feeling, and the performance is incredibly tight. Ashley Green’s drums are driving and sharp, pounding up through the sticky club floor, whilst Lucas Woodland’s vocals are nothing short of astounding. From the softer moments of the soaring, standout ‘Monochrome’, to the raw and passionate screams of early track ‘Dream Of Me’, Woodland carries immense strength and emotion in every word, and across a huge range. Nowhere is this better demonstrated than on the haunting ‘Wilt’, and there’s also not a single song where the voices of the crowd aren’t raised alongside Woodland’s – especially during phenomenal heartbreaker ‘Your Love (Has Ruined My Life)’. This kind of reaction from the crowd is a huge part of what makes this show so breathtaking; the spirit of a community coming together as one, spreading through the room in a flooding of love inspired by the band standing on stage. The night doesn’t go entirely without a hitch, as some unfortunate technical issues cause a delay around the instrumental ‘Purge’. With the band off stage, it results in too long a pause to keep the attention of a Saturday night crowd and the atmosphere begins to fall flat – but if there’s any band that can get this attention back, it’s Holding Absence, and if there’s any song they can do it with, it’s the effervescent singalong ‘Like A Shadow’. Within seconds the energy has resurged for the last few tracks as though nothing has happened at all; there’s brief disappointment when it looks like the set may need to be cut a little short, but thankfully there’s still time to finish up with a couple more, including the hugely popular, epic finale of ‘Penance’. To watch Holding Absence is to feel you’re in the presence of something truly special. The strength of their live performance is the kind that can win over even the most reluctant of viewers – not that there appear to have been any in the ecstatic crowd tonight – and at ten songs the set feels all too short, yet every moment has been filled with joy and energy. Uplifting, heartfelt, and powerful, Holding Absence are on an upward trajectory that feels rightfully unstoppable – this is the definition of an unmissable show.